What’s this then, a mini Chrysler PT Cruiser? 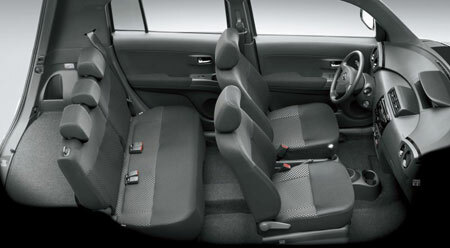 Daihatsu introduced the 2007 Daihatsu Materia at the 2006 Paris Motor Show, a little boxy mini-MPV-like wagon vehicle which is also known as the Daihatsu Coo or the Toyota bB in other parts of the world. The bB Concept was introduced as a preview to the successor to the Scion xB, a popular wagon sold in the US under Toyota’s Scion arm. 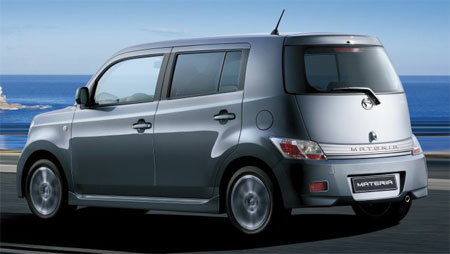 While it might look terribly boxy and Gundam-ish to us, the Scion xB has proven to be quite popular in the US. While the first generation Scion xB used Toyota’s 2NZ-FE 1.3 litre and 1NZ-FE 1.5 litre, power for this successor comes from either a 1.3 litre K3-VE engine, or a 1.5 litre 3SZ-VE, the same Daihatsu-based engines being offered in our local Toyota Avanza. This shows Toyota is moving towards using Daihatsu engines for it’s low displacement models across the board, whether the model is Daihatsu or Toyota originated. Some models of the Daihatsu Coo in Japan has four wheel drive options, but it’s not clear to me right now whether the European Daihatsu Materia will have 4WD or not. 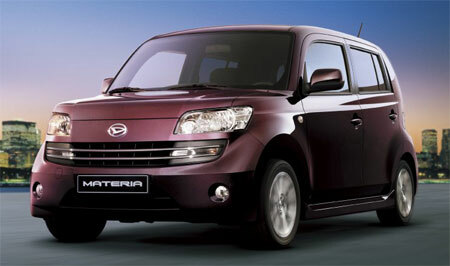 Daihatsu expects to build about 1,000 units per month.